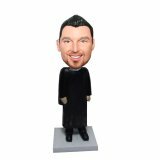 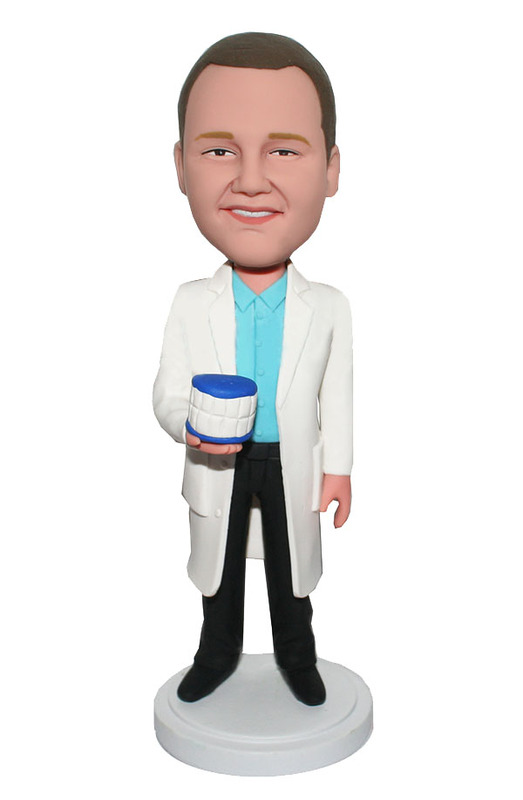 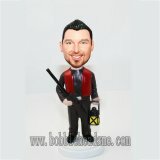 Wearing a long white coat and black pants with teeth in his hand, this custom bobblehead is a dentist.The dentist always reminds you how important oral health is. 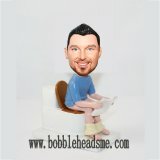 Listen to your dentist and brush your teeth every morning and night. This personalized bobblehead dentist is always smiling and it's a good decoration placing on your bedside reminding you that forget about the appointment and protect your tooth with regular teeth brushing.